One cannot deny the fact that many young professionals and entrepreneurs take the startup path because it sounds exciting. However, the road to becoming an entrepreneur is not a cake walk — it takes a tremendous amount of dedication and hard work. It is not always about making money, it is about solving problems people face in their day to day life. In order to get an idea about the startup world and what mindset one needs to have to start a venture of their own, Analytics India Magazine reached out to the co-founder and CEO of Yulu, Amit Gupta. Gupta grew up in a family where practically everyone was involved in the business. Therefore, since childhood, he saw value in entrepreneurship and self-reliance. A graduate from IIT Kanpur, Gupta also believed that when it comes to Startup, technology plays a vital role. “So I decided to spend my early part of professional life as a technologist with a clear aim of starting something on my own,” said Gupta. But Gupta had another vision too; he wanted to solve traffic congestion and air pollution in big cities of India. 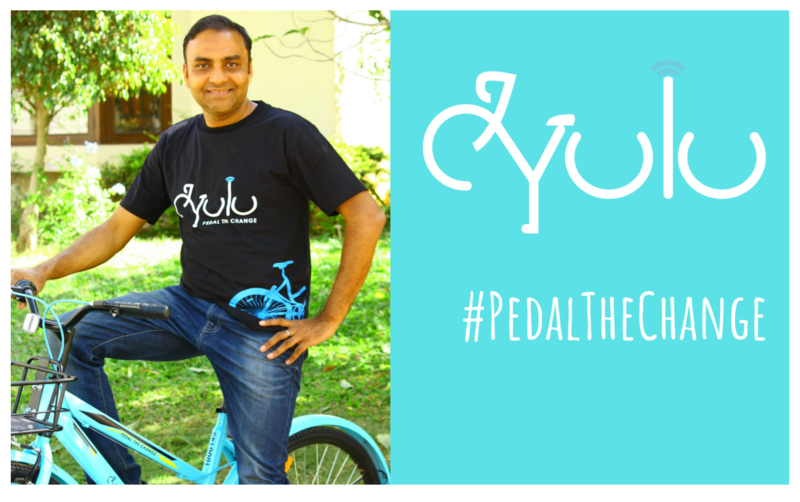 And as an attempt, Gupta co-founded Yulu in October 2017 and launched the service in Bangalore in January 2018. “All of us are very passionate about this vision and have dedicated our next 10 years towards the same,” said Gupta. AIM: What was your eureka moment? AG: It was when I realised how my commute from home to office, which is 2.5 km has become from 7 mins to 35 mins due to traffic over 2 years when I relocated back from San Francisco to Bangalore. We want to make our cities livable by moving people to sustainable mobility. We also believe that the majority of the growth of GDP in India needs to come from big cities. If the mobility of big cities is not efficient, it will directly impact the productivity and hence our growth rate. Also, air pollution is causing a huge issue in our overall healthcare system. India now is officially the most polluted country in the world. Our air quality is 10x worse than the permissible safe limits, so it is a very critical need of the hour. AIM: What were the challenges you faced? AG: When you start your own venture, challenges come as add-ons. For Yulu, we had to fight several myths and perceptions about the feasibility and efficiency of using share small two-wheelers to make a change in behaviour at scale. However, our unique approach of partnering with large corporates and local municipal corporations of the cities has helped in creation in infrastructure for sustainable mobility. We have also innovated on the solution to reduce theft and vandalism of our vehicles using technology and local relationships. AIM: “It is easy to start a venture but when it comes to scaling, it is difficult,” what is your take on this statement? AG: At present, the startup ecosystem in India is much better than it used to be 10 years ago; one can get seed funding, dev tools, cloud computing etc. So if someone is making an honest attempt, starting a venture is not difficult. However, the real challenge comes in scaling it. The complexity of business goes multiple times higher due to market fragmentation, the scale of technology infrastructure, management of people, meeting expectations from the customers and last but not the least always evolving competition. AIM: Talking about to the mindset, what kind of a mindset one should have when s/he steps into the arena of entrepreneurship? AG: One must have a genuine passion for solving the pain-points or the opportunity he/she is going after. While there is no right age to start a company, I think that one should secure its dependents financially for at least a couple of years. Entrepreneurship is a very rewarding journey, but it requires a lot of sacrifices on the personal front. It is unfortunate that India has so many problems, however, at the same time, it is also an opportunity for entrepreneurs like us to solve them and create value for your stakeholders. Gupta says that don’t waste time-solving for small incremental gain; figure out a brand new way to address the need. It has to be dramatically better for you to make a huge impact. Look for what drives you the most and go for it with no looking back.